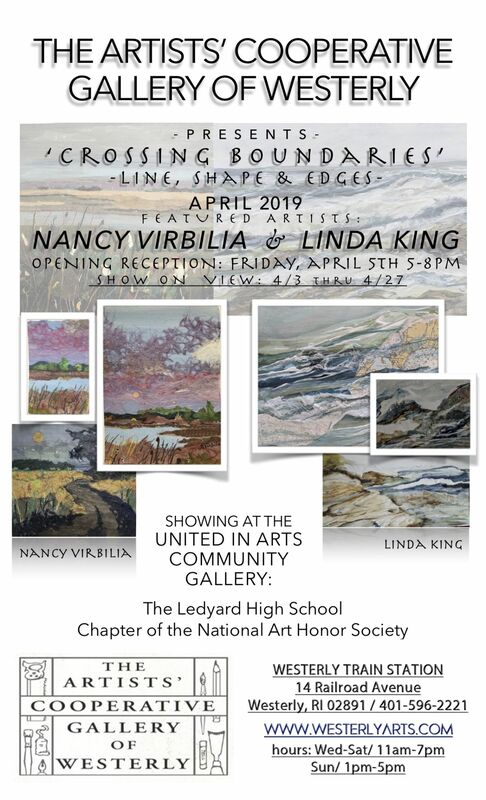 April’s Show “Crossing Boundaries” - Line, Shape and Edges Features Artists Linda King and Nancy Virbila Art has been carving new frontiers since the first line was etched onto stone. And “Crossing Boundaries,” the new show at the Artists’ Cooperative Gallery of Westerly, explores how artists do this with line, shape, and edges. 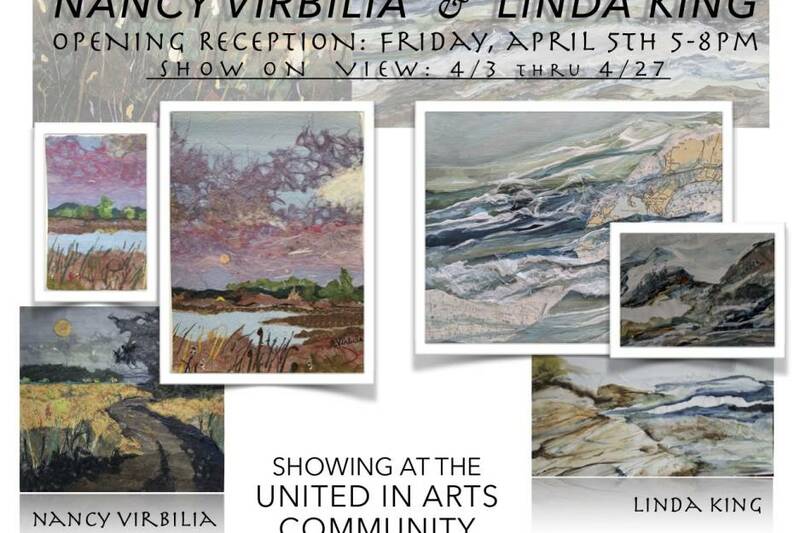 Come meet the artists at the show’s Opening Reception, Friday April 5th from 5-8 PM. Browse the show, meet the artists and enjoy a glass of wine and tasty refreshments. Gallery Hours are Wednesday - Saturday 11:00 - 7:00 and Sunday 1:00 - 5:00. ACGOW, is a fine arts gallery exhibiting a new show every month with work from member and visiting artists. 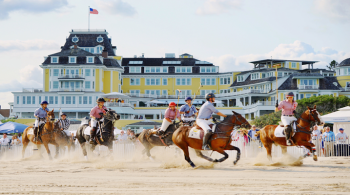 ACGOW shows are free and open to the public.